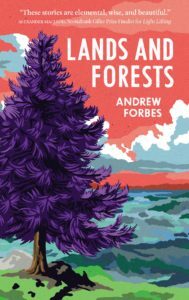 Andrew Forbes is the 2019 Margaret Laurence Fellow at Trent University. 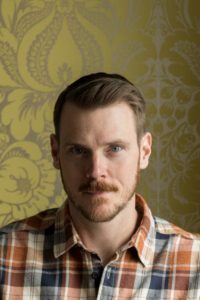 Andrew Forbes‘s first book, the story collection What You Need, was a runner-up for the 2016 Danuta Gleed Literary Award, and was shortlisted for the 2016 Trillium Book Award. His second book, The Utility of Boredom: Baseball Essays, is in its fourth printing. 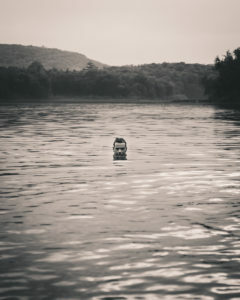 Andrew lives in Peterborough, Ontario with his wife and three children. A story collection by award-nominated writer Andrew Forbes that rifles through the domestic and wild moments that make us human. The stories in Lands and Forests survey the emotional landscapes of women and men whose lives, though rooted deeply in the land and their small communities, are still rocked by great cultural change. These are raw, honest character studies reminiscent of the work of Alexander MacLeod and Lisa Moore, but with a style and energy all their own.